"Happily Ever After" book cover. Image courtesy of The Retirement Solutions. A sponsored article from The Retirement Solution. The Retirement Solution slated to open fourth satellite office in Mill Creek – because retirement doesn’t have to be just a fairytale! Jim Black, President and CEO of The Retirement Solution, is set to open an additional satellite office in Mill Creek at 16000 Bothell Everett Highway, Ste. 175, in mid-February 2019. Dedicated to helping individuals achieve their happily ever after in retirement, The Retirement Solution’s planners create written retirement plans that minimize risk and broaden financial opportunities. Their comprehensive retirement plans are designed to protect income from stock market fluctuations, so the money you’ve worked so hard to accumulate will be there for you when you need it. These are the questions they answer at The Retirement Solution. With a home office in Redmond and previously established satellite offices in Seattle, Tri-Cities, and Denver, they’ve helped hundreds of couples and individuals identify the income they will need and want in retirement, all based on their hopes and dreams. Then they create a written blueprint that takes them from where they are today to where they want to be. This plan is not just conjured up in their head, but instead is tangible, and something they understand, own, and can easily describe. Imagine how valuable that would be for you. They recognize it’s essential to make sure you have proper allocation of your assets to protect them in the event of a down stock market. They know that if people had proactively done this in 2008 their portfolios would not have been so severely impacted. At The Retirement Solution, this is what they do best. They believe it’s a good idea to diversify money among different financial avenues, or what they call “buckets,” to better improve the chances of growing your wealth. They help you identify and avoid actions that could potentially damage the growth of your money, such as withdrawing money from your savings too early, and avoiding accumulation of unsecured debt. They help you know the risks and mitigate them, which is one of the most efficient ways they help you secure your money and your income in retirement. By helping you create a clear, written plan, it allows them to easily make adjustments if priorities change or if there are changes to your current status. Whenever something doesn’t go as expected, they help you default to your plan which has buffers built in that are designed to help you more easily ride through some of the financial “waves” with ease. At The Retirement Solution, they’ve designed a Menu of Services so you can choose the level of engagement that best suits your needs. This option allows you to focus on the areas that are most important to you. From the full suite of services addressing every need of your income plan, to the do-it-your-selfer wanting fundamental and limited services, they help you customize a personal experience. Acting as fiduciaries, every planner in their firm has distinctive strengths and varying backgrounds, resulting in thorough and effective guidance. At any point in your relationship, you’ll have a dedicated, skilled ally on your side, looking out for your best interests with everything they do. Additionally, The Retirement Solution is engaged with volunteer efforts with The Society For Financial Awareness (SOFA) and the American Financial Education Alliance (AFEA), both nonprofits recognized for helping to increase financial literacy by providing free financial workshops in the community that empower individuals to gain knowledge and confidence to take control of their financial affairs. 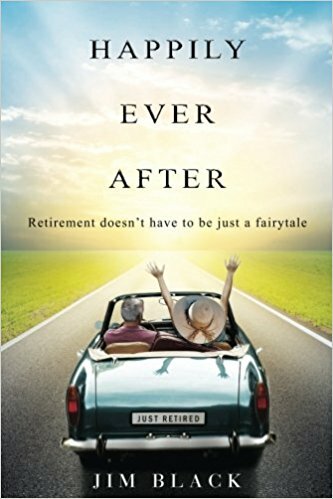 Jim Black has authored a book titled, “Happily Ever After – Retirement doesn’t have to be just a fairytale.” By reading the book and implementing the strategies, you will greatly increase your chances of retiring on your own terms. You may request a copy by calling The Retirement Solution’s main office in Redmond at 425-558-3700. Contact the new Mill Creek office of The Retirement Solution directly at 425-412-8952. Their offices are open Monday thru Friday, from 8:00 am to 5:00 pm. The Retirement Solution financial planners. Photo courtesy of The Retirement Solution. The Retirement Solution team. Photo courtesy of The Retirement Solution. About The Retirement Solution Inc. The Retirement Solution Inc. is a registered investment advisor in the state of Washington. Our investment advisors may not transact business in the states unless appropriately registered or excluded or exempted from such registration. We are registered as an investment advisor in AZ, CA, CO, ID, OR, TX, UT, and WA.